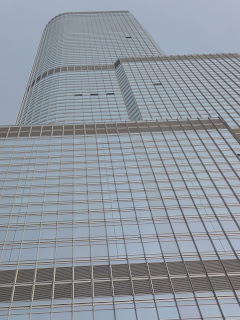 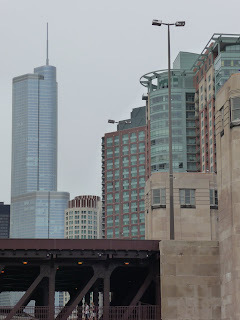 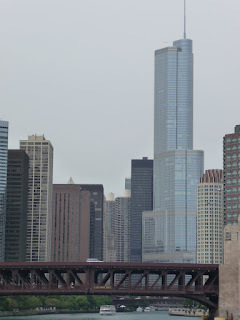 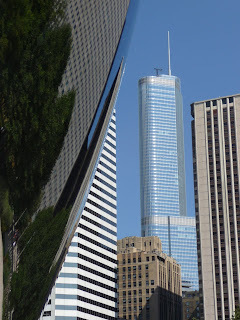 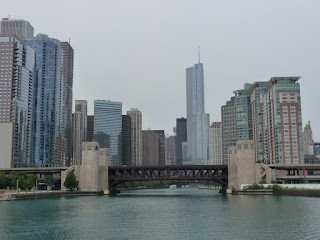 Given the number of prominent signature buildings pressed together in Chicago, it is no mean feat to build something that shows up from all sorts of different locations and angles, and still stands out from the crowd. 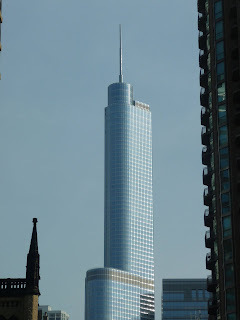 With his recently completed Trump Tower, Adrian Smith of Skidmore Owings & Merrell has managed to pull it off — something to do with the Blue colour, I believe, the distinctive shape, and its marvellous use of a small but key location in the city. 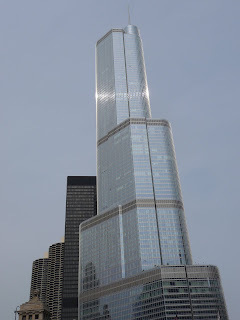 In an age which sometimes seems to have lost its nerve about everything, self-confident forward looking architecture seems like a gesture of faith, certainly compared to lame pastiche.